The world of cinema has always been full of technological innovations and ingenious inventions. From silent films to CGI-rich films of today, the film industry has continued to evolve throughout the years. Nowadays filmmakers of all budgets and caliber utilize ‘digital’ in variety of ways. Independent films and TV shows are often shot with digital cameras, even DSLRs. While some high-caliber filmmakers with seemingly unlimited budgets and highest expectations start reaching for digital cameras as well. Anyone who looks close enough will surely notice that digital filmmaking, not only computer-generated special effects, is the future of cinema. There is no denying that traditional film is not only a fantastic invention but that it has evolved sufficiently to allow for absolutely gorgeous movies to be created. To think that films like Interstellar are still shot on film is astonishing and there are many filmmakers who work hard to preserve it. And many filmmakers still believe that film offers widest range of colors. However, there is also no denying that digital filmmaking allows filmmakers to explore new realms and test innovative techniques, without sacrificing quality. Guardians of the Galaxy Vol. 2, for example, was the first feature film to be shot in 8K resolution on Red’s Weapon digital camera. While many questioned director James Gunn’s decision, everyone can attest that the end result is beautiful and elegant, in the end indistinguishable from film to most viewers. The director talked about his decision extensively on social media and explained how shooting with digital cameras is one way to drive the medium forward and adapt to new innovations in the field. Digital technology is evident everywhere in the film industry. 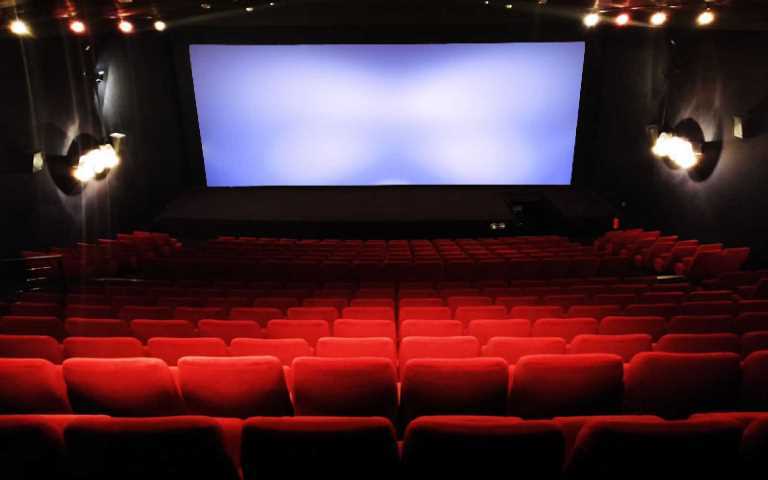 Movie theaters, for example, are readily adopting the technology. After all, the vast majority of cinemas worldwide have already converted to digital projectors. Shooting with digital cameras is still reserved for a subset of high-budget films but it does carry plenty of advantages. For example, multiple digital cameras can shoot the same scene, allowing the director to gain multiple angles and perspectives, quickly review the results and easily synchronize camera views during post-production. It is far easier to shoot multiple takes that way too. Preservation is also an important area to consider. Obviously, movies shot on film can be preserved when using the right methods but digital is a far safer, more efficient, and less costly method of doing so. When shooting blockbusters like the Guardians of the Galaxy 2, the cost differences between film and digital cameras is quite negligible as movie studies are more than happy to foot the bill because of the expected revenue in the box office. In many other cases, however, digital cameras and associated technologies result in much lower costs. There are plenty of big-name filmmakers who refuse to use digital cameras but those are a select few who can pretty much do whatever they like, with studios complying to their requests. For everyone else, digital technology makes a lot more sense. Anything from shooting scenes to editing a movie is much more convenient and cost effective with digital than with film. Budgeting is far more efficient too as costs can be calculated without excess. Digital technologies, including digital cameras, can open up previously unexplored avenues for filmmakers. Anything from advanced depth sensors to 3D motion capture and more are the result of digital technologies. Related technologies such as virtual reality and augmented reality may also well play a role in the future of the film industry. If Mark Zuckerberg has his way, for example, the Oculus Rift may one day act as a virtual cinema so you will not even have to leave your house to “meet” your friends for a movie. The turn to digital can be witnessed not only from the work of filmmakers themselves but also in tech-centric Silicon Valley. For instance, the newly-launched CinemaStock is turning so-called “green screen” filming into digital as well, by offering filmmakers high resolution stock footage of “virtual actors”. The actors, such as police, doctors, pedestrians, protesters, etc. are filmed on green background, which is later easily removed and allows inserting those actors into any other background, usually as extras. Although such footage is more targeted towards lower-budget and YouTube films, it is definitely a sign of digital tech playing big role in the future of filmmaking. Though in case of CinemaStock, the company also makes filmmaking more accessible to filmmakers at large. Everyone can now experiment with making films, simply by filling their scenes with extra characters they would not be able to utilize otherwise, whether gangsters, zombies, or pedestrians. This, and many other uses of digital technologies are already evident to everyone in the industry. Of course, shifts to new technologies always take time. While it may be true that digital is the next step of the film industry, it certainly does not mean it will be ubiquitous in a single day.